Baguio City is filled with amazing sceneries and events. If you want to juice up more about Baguio, you better stay in the place for at least a couple of days. Speaking of “temporary stay”, accommodation should be planned ahead of time. One kind of accommodation that you can include in your list is a transient house in Baguio City. In the selection of a transient house, there are a lot of things to consider. Of course, these include your budget, your preference, and the right spot you would want to be at. To shortlist your options, read this article. The Europa Family Condo is one beautiful and popular accommodation in Baguio City. It is not just a typical transient house that you can find somewhere else. For a fact, the place is very homey and comfortable to live in. More importantly, when you try to check out its location and appeal, the Europa Family Condo will definitely win your heart. Europa Family Condo is situated in Europa Villas, Legarda Road. If you are well-adept at taking a tour in the Burnham Park and other attractions in Baguio, this is one of the best spots to temporarily live in. It has a wonderful landscape that will not only soothe your mind, but your spirit as well. The condo can cater up to 16 guests. If you are a group of 12 to 14, then the daily rate is PHP 9,000.00 and PHP 500.00 for each additional guest per night. 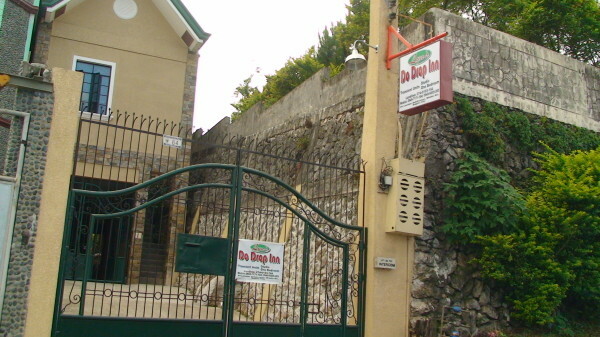 If you are on a tight budget, you can stay at Lyns Do Drop Inn settled in 84 Lourdes Subdivision, Middle Road, Baguio City. The place is styled in a modern manner and with all the amenities that you will find in a home such as kitchen, security cameras, TV, and free WIFI. In addition to this, the place is clean and is only a 10 to 15-minute ride from downtown area. In terms of rate, the Lyns Do Drop Inn offers a competitive price. For a minimum of two-night stay, it will only cost you PHP 2,000.00 on lean season while it is PHP 2,500.00 on peak season. For additional guests, an extra pay of PHP 300.00 per head/night will be charged. Whether you want a grand or an affordable place to stay in your vacation, all you have to do is shortlist your options regarding transient house on Baguio City. Enjoy!